The traditional brilliance of yellow gold, combined with a wonderful design, makes this bridal ring set a star among bands. 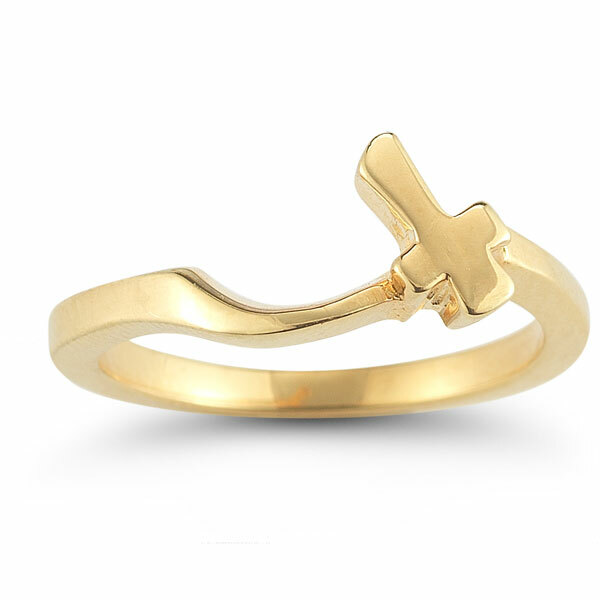 The bands are crafted of 14K yellow gold and feature a smooth, polished shine. 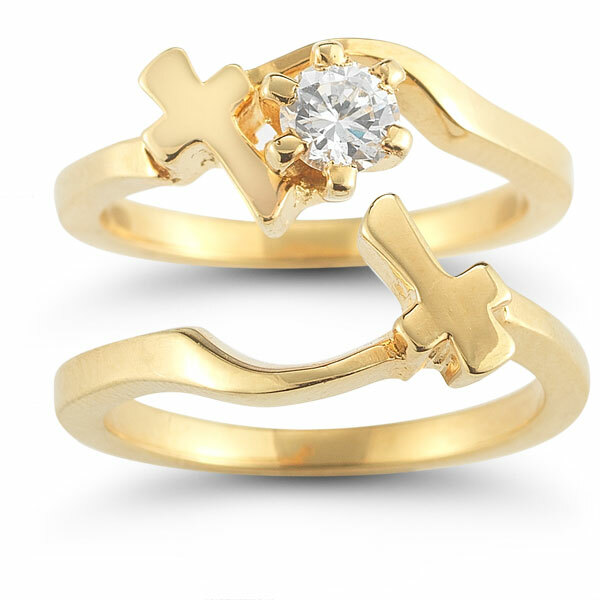 Two Christian crosses create a beautiful display of faith in this bridal set, and the simple but elegant design elevates the rings. 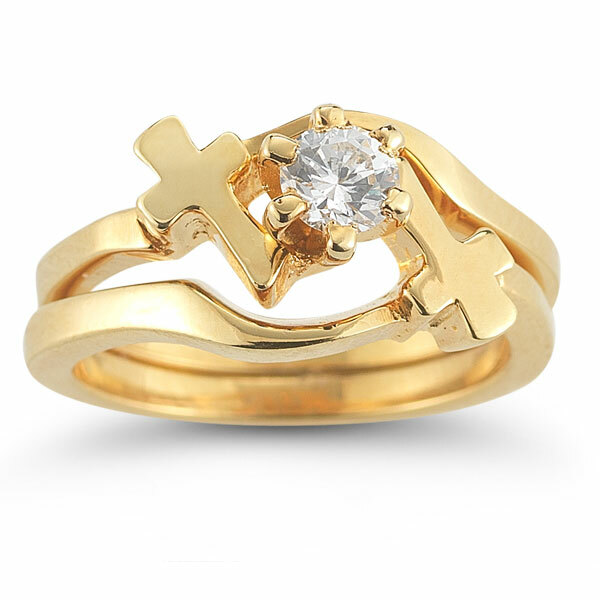 The center is set with a half-carat white diamond, which is given a round cut style and perfectly completes this yellow gold wedding band set. 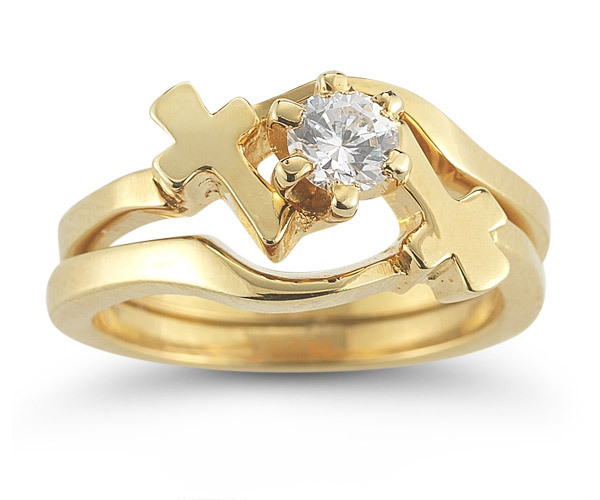 Apples of Gold Jewelry guarantees the Diamond Cross Wedding Ring Bridal Set in 14K Yellow Gold to be of high quality and an authentic engagement ring with real diamonds, as described above.